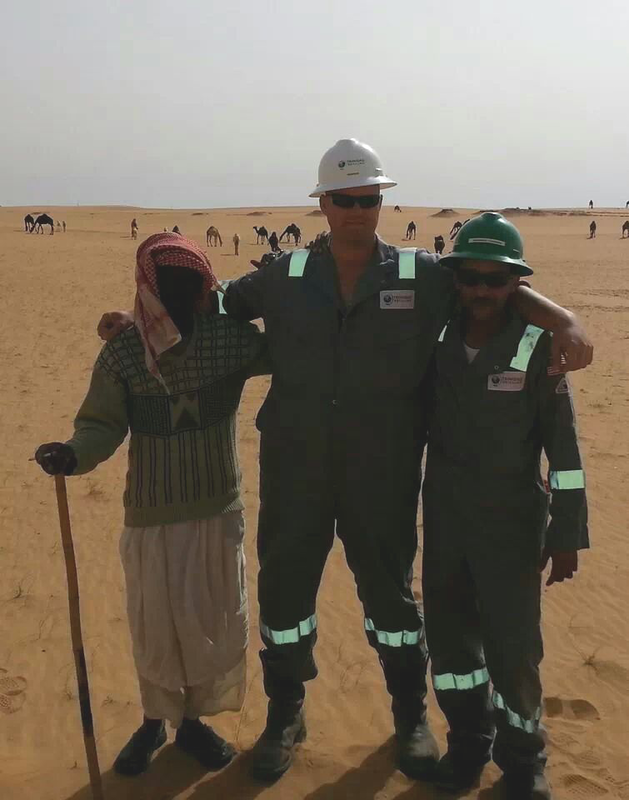 Trinidad Driller Brandon Skelton just finished his first rotation in Saudi Arabia and the born-and-raised Texan has already rode a camel and learned some Arabic. “My grandfather made his living working for Aramco (a national oil and gas company in Saudi Arabia) from the late ‘70s to the mid-‘90s. It has always been in my plans to go international and follow in his footsteps,” said Skelton, who started his career on the rigs 12 years ago. Last year, Trinidad announced the expansion of its international operations through a joint venture with Halliburton. As part of that venture, Trinidad is moving four rigs into Saudi Arabia (three upgraded rigs from our U.S. fleet and one new build). Skelton happened to be looking for an international opportunity when he stumbled onto Trinidad’s website. He sent in his resume and now sees camels crossing the desert at work. In addition to assembling the rigs, Skelton has also been training crews of workers native to the country. Although Skelton said the language barrier can be a challenge, he has already learned quite a bit of Arabic from his co-workers. “Their heritage and customs are different (from mine), but our goal for work is the same: to work safely and send money to our families,” said Skelton, who is a father of two. Skelton will be working a rotation of 35 days in the field and 35 days at home. When Skelton is at home, he spends time with his wife and two boys, trains horses and team ropes. While overseas, he stays in a camp where the living conditions “are equal to or better than what I’ve experienced in the States,” he said. 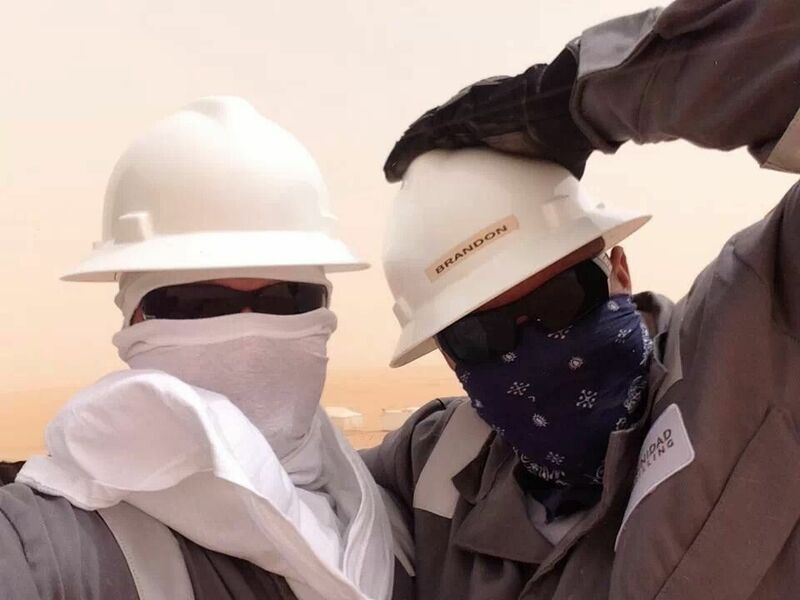 Just like in North America, rig workers in the Middle East still need to brave the elements. The desert climate presents challenges, but it is also the desert lifestyle that allowed Skelton to take his first camel ride – thanks to an obliging and generous camel herder.